Newly organized to focus exclusively on material tested in the Society of Actuaries′ Exam C and the Casualty Actuarial Society′s Exam 4, Loss Models: From Data to Decisions, Fourth Edition continues to supply actuaries with a practical approach to the key concepts and techniques needed on the job. With updated material and extensive examples, the book successfully provides the essential methods for using available data to construct models for the frequency and severity of future adverse outcomes. The book continues to equip readers with the tools needed for the construction and analysis of mathematical models that describe the process by which funds flow into and out of an insurance system. Focusing on the loss process, the authors explore key quantitative techniques including random variables, basic distributional quantities, and the recursive method, and discuss techniques for classifying and creating distributions. Parametric, non–parametric, and Bayesian estimation methods are thoroughly covered along with advice for choosing an appropriate model. Throughout the book, numerous examples showcase the real–world applications of the presented concepts, with an emphasis on calculations and spreadsheet implementation. A wealth of new exercises taken from previous Exam C/4 exams allows readers to test their comprehension of the material, and a related FTP site features the book′s data sets. 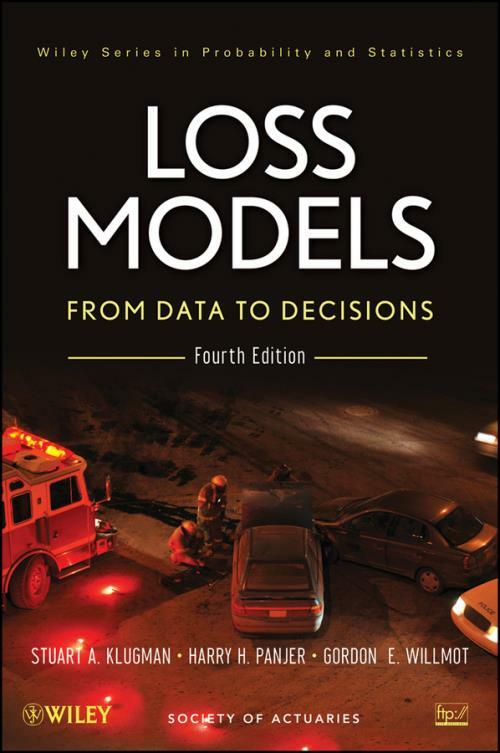 Loss Models, Fourth Edition is an indispensable resource for students and aspiring actuaries who are preparing to take the SOA and CAS examinations. The book is also a valuable reference for professional actuaries, actuarial students, and anyone who works with loss and risk models.